Thank you for contacting our Company regarding our ingredients in our products. Our Company complies with all applicable labeling regulations promulgated in the United States by the Food and Drug Administration and other regulatory bodies. Product flavor components that form part of our “natural” or “natural and/or artificial flavors” ingredients are considered proprietary to our Company. If you have a concern regarding the intake of this product, we suggest that you contact your health care provider. If you have known sensitivities to any substance listed in the ingredient statement, we advise discontinuing use of the product. Here’s what’s really going on: While something called “juice” and having pictures of fruit on it is required to have its flavor mainly come from the pictured fruit, if you call it “juice drink” you don’t need to have the flavor be derived from the items on the picture. It can also contain as little as 5% juice. 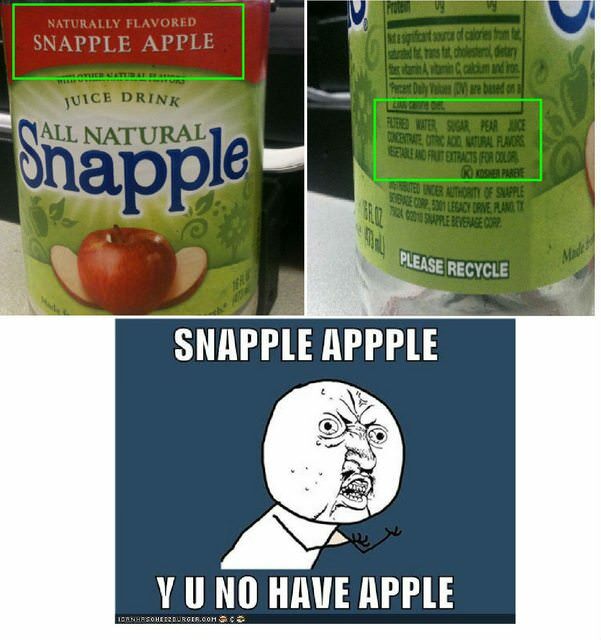 So the answer to this mystery is that Naturally Flavored Snapple Apple With Other Natural Flavors Juice Drink contains 10% juice, most of which is pear juice concentrate flavored to taste “appley,” because the government says it’s okay, and, most importantly, people will buy it. 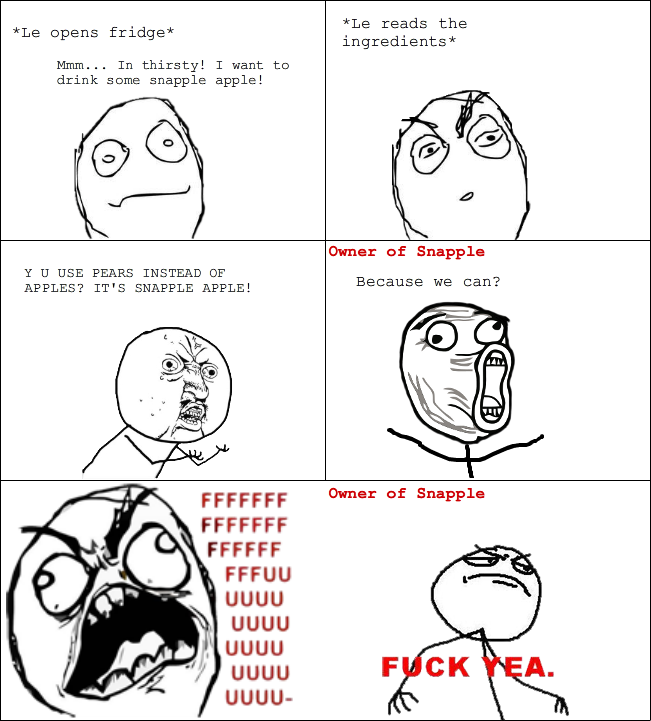 Supposedly also apple juice itself doesn’t taste like what people expect of apples when its used as a flavoring, which is why tweaked-out pears are used instead.